I’m gonna be honest about it, I’m not the biggest fan of ginger. I think its flavor can be kind of intrusive and sort of overwhelming. 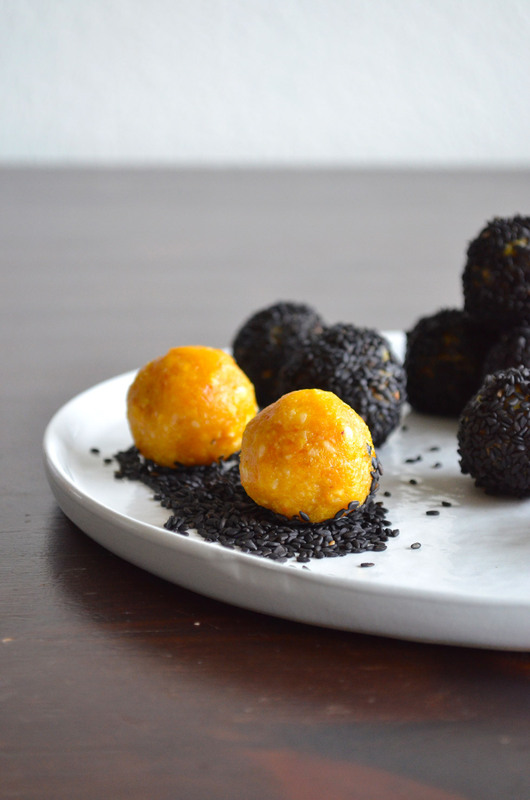 However, when you only use a little bit of it, for example in a smoothie or in these delicious bliss balls, it just add a little depth and warmth to the overall flavor of the dish. 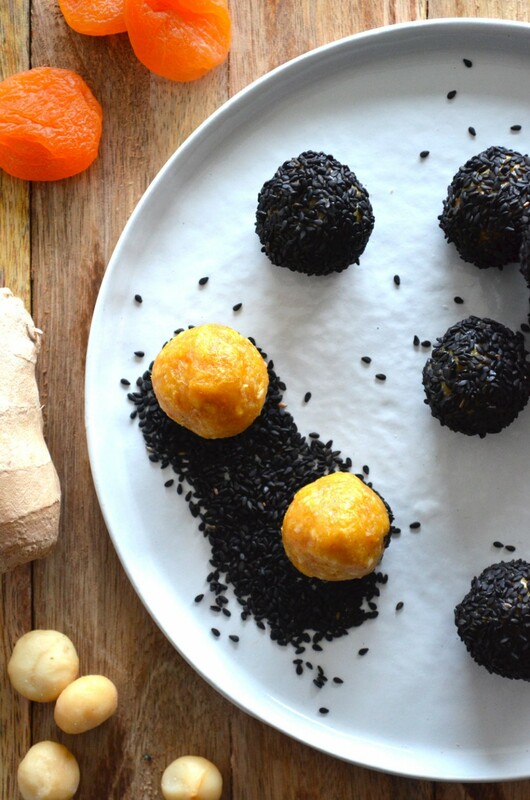 These tiny bliss balls are real powerhouses with healthy whole food ingredients like fresh ginger, turmeric, nuts and seeds. For example, it is scientifically proven that ginger has plenty anti inflammatory and antioxidant characteristics. Interestingly, a 2012 study even showed that when mice with tumors were fed 100 mg ginger extract per kg body weight, their tumors decreased in size by 56%! Even though this study was done in mice, it still provides an interesting perspective of the positive effect that ginger may have on our body. The same holds true for turmeric. Plenty studies (e.g. this one) have shown that the spice has anti inflammatory and antioxidant properties. This can help to treat diseases like Alzheimers, cystic fibrosis, certain types of cancers and more. Yet, even when you’re not ill at the moment, consuming turmeric might still be a good idea to help your body taking up iron. Nuts and seeds perhaps have less of a “superfood” reputation than ginger and turmeric, but their macro’s are still pretty amazing, and if you’re following a (mainly) plant-based diet, snacking on some nuts every day is probably a good idea to up your protein intake, if you’re worried about that. Roast the cashews and macadamia’s until they’re golden brown and fragrant. 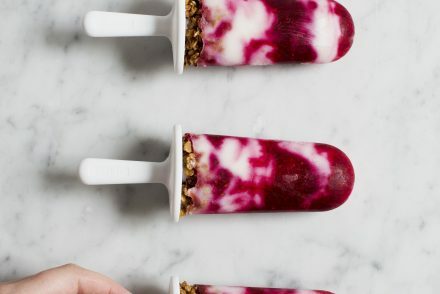 Set aside in a bowl to cool. Then roast the sesame seeds in a pan until they’re fragrant. Set aside in a bowl to cool. 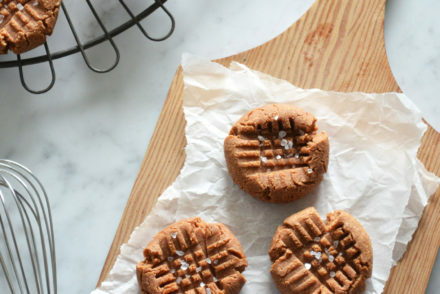 Put all the ingredients, except the sesame seeds and maple syrup, in a food processor and blend. It may take a while for the mixture to become one ball and sticky, up to 4 minutes. If it takes more than that, or if the mixture isn’t sticky enough, you may want to add a little bit of maple syrup to make it stickier. With wet (!) hands, form 12 balls. 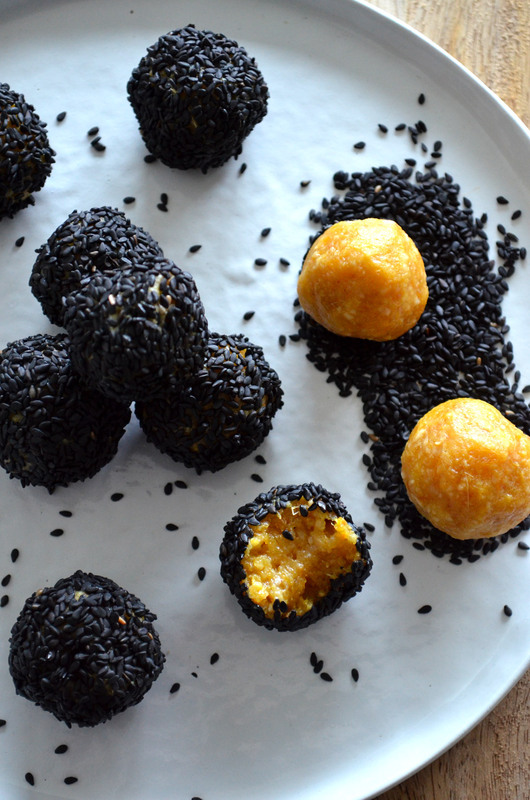 Roll them through the roasted sesame seeds to finish them. Looks so yummy! I am going to try these. When you say ‘roast cashew and macademia’, do you mean in the oven or in a pan? (sorry I am a cook dummy). Also, if I want to try a version without nuts, what substitute would you recommend? I was thinking pumpkin seeds and sunflower seeds, but maybe you have a better idea. (in my son’s school, there is a no nut policy, and I was thinking these would serve great as a healthy snack).